Acerola cherries that look like small-sized red capsicums are commonly used for medicinal purposes. 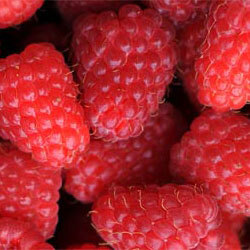 They are jam-packed with a variety of nutrients and taste tart or sweet. They particularly can treat disorders arising out of deficiencies of vitamins and minerals in the body. Acerola is a beautiful green tropical shrub with its branches spread out. The intense red acerola cherries are produced within 3 years after the tree is planted. 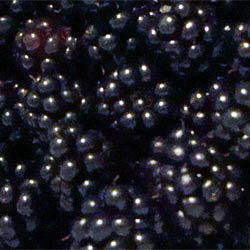 The fruit is ½ to 1 inch in diameter. They can be eaten raw or used in jams, jellies, frozen concentrates, baked foods, ice creams and candies, and even for alcohol production. But if acerola cherries are not grown locally in one’s own area, he can get them only in supplement form such as liquid extract, capsules or powders because they are extremely perishable and get spoiled within 4-5 days of harvest. If one grows his own acerola cherries, he should refrigerate them immediately after picking. Here are some of the wonderful health benefits of acerola cherries. Acerola cherries can work as an ideal vitamin C supplement because their vitamin C content is the second highest with the first one being another nutrient-dense fruit named camu camu. Acerola cherries are so high in vitamin C that only a couple of them can meet the recommended daily intake of vitamin C. The vitamin C present in around 180 ml of acerola juice is equivalent to vitamin C in 14 liters of orange juice. Acerola berries are also so high in vitamin A that a small acerola berry contains this vitamin equal to that in a full-sized carrot. Thus, just 1-2 acerola cherries a day can meet the daily requirement of vitamin A. Hence these cherries can be eaten as a vitamin A supplement too. Not only vitamins A and C, but several other vitamins, minerals and antioxidants are in high amounts in acerola cherries to such an extent that the fruits can work well as an overall nutritional supplement. These nutrients include vitamin B complex (B1 i.e. thiamine, B2 i.e. riboflavin, B3 i.e. niacin, B5 i.e. pantothenic acid, B9 i.e. folic acid and so on), iron, calcium, potassium, copper, magnesium, phosphorus, zinc, malic acid, protein, dietary fiber, fatty acids and so on. What’s more, acerola is rich in various antioxidants. These include polyphenolic anthocyanidin compounds like quercetin, cyanidin-3-glycoside, chlorogenic acid, tannins, ferulic acids and many others. Also, vitamins A and C that are high in acerola cherries are also great antioxidants. Being so packed with all these nutrients, acerola cherries can ward off not only common disorders like cough and cold, diarrhea, dysentery, tooth decay, fungal infections, gum infection, hay fever, liver ailments etc. but also chronic and serious illnesses. Acerola cherries have a significant amount of fiber due to which they can successfully treat digestive problems like bloating, constipation and diarrhea, and also remove toxins from the body. Because digestion is improved, the body can be protected from several serious diseases. Since acerola cherries are packed with antioxidants, they can improve heart health. 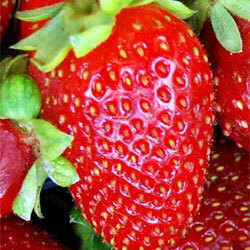 Antioxidants in these fruits help lower cholesterol and reduce the stress on cardiovascular system. Acerola cherries also contain a good amount of potassium that maintains healthy blood pressure levels. Potassium is important for dilating blood vessels and facilitating blood flow. The extract of acerola cherries can offer protection from thrombosis, atherosclerosis, coronary artery disease etc. The anti-cancer properties of acerola are accredited to a compound known as anthocyanin in them. With this content, acerola helps in slowing down and finally stopping the growth of cancerous cells. Free radicals can cause healthy cells to convert into cancerous cells. Acerola fruits can also stop oxidative damage (damage by free radicals) to cells due to their carotenoid and bioflavonoid content. The antioxidants present in acerola cherries, especially chlorogenic acid, are good for maintaining blood sugar to healthy levels by slowing down the release of sugar in the blood flow. This benefits those who already have diabetes and also those who are about to develop it. Acerola cherries contain such a great amount of vitamin C which is important for human body, particularly to improve immunity which in turn protects the body from infections and similar diseases. Vitamin C is also important for the production of white blood cells which are again important to fight any foreign organisms and pathogens entering the body. Acerola fruits are high in calcium. Naturally they work excellently to strengthen teeth and bones. Plus these fruits have anthocyanins in them which fight against inflammation which commonly occurs in those who have arthritis or gout. When one includes acerola cherries to his diet, he finds his teeth, bones and joints improving. What’s more, acerola have potassium which is helpful in protecting muscles against cramps and fatigue. Thus, they are helpful for exercise enthusiasts. It’s obvious from the high content of vitamin C in acerola cherries that the fruits can prevent scurvy, a disease caused by the deficiency of vitamin C.
Since acerola cherries are packed with antioxidants, they are helpful in making one’s brain healthy. 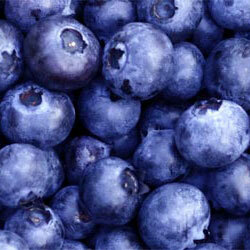 These antioxidants help avoid brain problems like dementia and Alzheimer’s disease. Also the bioflavonoids in acerola help improve cognition, regardless of age. Acerola can also improve focus. Being extremely high in vitamin A which is essential for eye health, acerola cherries not only improve eyesight, but also protect eyes from issues like cataract and retinal hemorrhages. Also, vitamin C present in acerola contributes in eye health. Human body falls prey to early aging when toxins are accumulated in it, free radicals damage cells and tissues, and collagen production is reduced. The various nutrients in acerola cherries take care of all these three factors. 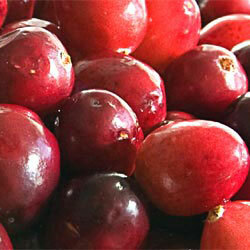 Firstly the antioxidants in acerola fruits eliminate toxins from the body. The extract of these cherries have been found to eliminate free radicals too. Moreover, acerola cherries have vitamin C in them which increases the collagen production. Thus, acerola cherries prevent diseases, oxidative damage and skin damage and thus stop early aging. As mentioned above, vitamin C in acerola helps to increase production of collagen which is responsible for the elasticity and health of skin. Thus, eating acerola cherries regularly can improve the health of one’s skin. Acerola also have minerals like zinc, potassium and manganese in them, which bring dramatic improvement in one’s energy levels. Also, stress can be eliminated by adequate levels of vitamin C which is provided by acerola. Together all this vitamin and mineral content helps reduce one’s stress and keep body energetic all through the day. Acerola cherries have the entire vitamin B complex present in them, including folic acid, riboflavin and niacin, which help improve your metabolic and hormonal processes to help a body become healthier and function smoothly. Since acerola cherries are very low in fat and calories, they help control the body weight. In addition, they speed up metabolism and thus help in weight loss. Acerola cherries are not reportedly an allergenic food. However, they can cause insomnia and upset stomach in some people. Consuming acerola cherries in excess may cause diarrhea. People suffering from gout should not eat too many acerola cherries because excess vitamin C can increase uric acid levels in them which can be dangerous for their condition. Acerola cherries are easily grown shrubs/small trees that doesn't require any extra care. If you have some free area in your garden, plant 2-3 of these wonderful and really healthy berries and enjoy them both fresh or processed.